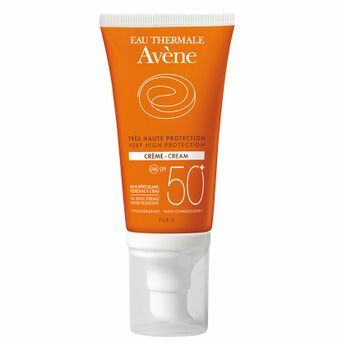 Sunscreen, very high protection for sensitive skin.Effective against all sun radiation (short and long UVB-UVA).Paraben-free Certified UVA-compliant VERY water-resistant. 100% photostable. Light and no greasy texture : invisible, non-oily texture for particularly pleasant application. Very high protection for dry, sensitive skin on the face. Phototypes I and 11 (very light, milky skin , blond, red hair). The tinted cream masks skin imperfections, and can be used as make-up in skin whose pigmentation is difficult or irregular, or to improve the complexion with its "healthy glow" effect.The ? fragrance free ? version is recommended particularly for sensitive skin allergic to fragrance.